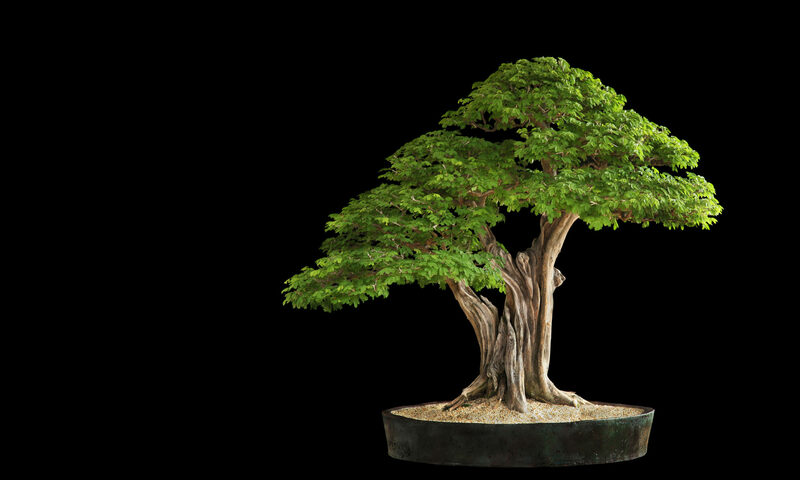 Root Over Rock with Frank Corrigan – Well known Bonsai Artist Frank Corrigan will be giving a root over rock workshop. In this workshop you will learn the theory and practice of developing a “Root over Rock” Bonsai using a Trident Maple. – All required materials will be provided including a Trident Maple, Rock and a pot. There will be 2 sessions available. Both will run from 1:00PM to 4:00 PM in the portable classroom at the HCP. Each workshop will accommodate a maximum of 6 participants. Cost for the workshop is $80.00 and must be paid to confirm your seat in the workshop. Please register at: workshops@victoriabonsai.bc.ca or at a club meeting and please indicate your preference of which workshop you would like to participate in. Mark Paterson will be leading this half day workshop for up to 8participants. This is a hands-on workshop where you will either pot orre-pot one of your own trees. This workshop is designed for those who are not sure about potting/re-potting your bonsai.Participants will need to provide their own tree and a suitable pot. All other materials will be provided. The workshop will take place in the upper Bonsai Garden at the HCP from 9:00 AM to noon. There is no cost for club members. If demand warrants, a second workshop will be scheduled. Please register by email to: workshops@victoriabonsai.bc.ca or at a club meeting. Essentials of Potting – 1 Space Available – Waitlist being taken. theory and practice of Bonsai. The workshop will be held in the portable classroom at the HCP and there is no cost for Club members and registration is limited to 8 persons.Please register by email to: workshops@victoriabonsai.bc.ca or at a clubmeeting. This afternoon workshop from 1:00 PM to 4:00 PM is an open workshop andmembers are invited to bring a tree to work on with the guidance of clubexperts and experienced club members. This is your opportunity to freely ask questions and learn from your fellow members. The workshop will take place in the upper Bonsai Garden at the HCP from 1:00 PM to 4:00 PM. There is no requirement to pre-register. Bonsai Master David de Groot will be leading this workshop focused on advanced styling considerations and techniques. Participants will bring a “developed” tree of their own that they may be wondering how to take to the “next level” or where and how to further develop the tree. There will be 2 sessions available and both will run from 10:00 AM to 4:00 PM in the portable classroom at the HCP. Cost for the workshop is $150.00 and must be paid to confirm your seat in the workshop.Please register by email to: workshops@victoriabonsai.bc.ca or at a club meeting and please indicate your preference of which workshop you would like to participate in. Each workshop will accommodate a maximum of 6 participants. Our very own Mark Paterson will be leading this full day workshop for beginners and people who just want to know a little more about the basic theory and practice of Bonsai. The workshop will be held in the portable classroom at the HCP and there is no cost for Club members and registration will be limited to 8 persons. Please register by email to: workshops@victoriabonsai.bc.ca or at a club meeting.